Detroit 2018 kicked off the best year for American truck fans since the invention of Bigfoot. Ford, Chevy, and Ram all debuted brilliant new models, while gorgeous SUVs from Mercedes, Lexus, and Nissan wowed our senses. More correctly the North American International Auto Show, Detroit showcased the best of automotive design, engineering, and passion. Concept vehicles raised the bar for years to come in terms of beauty. Efficiency, never a buzzword, nonetheless continues to improve year after year. These are a few of our favourite vehicles on display at the Detroit motor show. 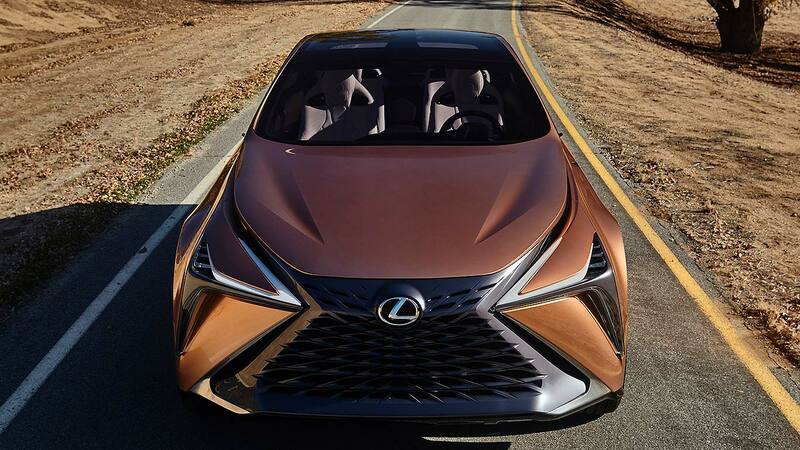 The design of Lexus’s flagship LF-1 Limitless concept is governed by a “molten katana” language, that of liquid metal fusing to a traditional Japanese sword. From almost any angle, it’s easy to imagine a master swordsman shaping the crossover out of soft metal. So yes, we get it completely. The Limitless is named for the limitless powertrains it could possibly use, like hybrid, plug-in hybrid, petrol, all-electric, or even a fuel cell. By 2025, Lexus wants to have an electric version of every one of its models. The interior is a minimalist, button-free zone, as befits the future. Lexus has further cleaned up the cockpit by placing all vehicle controls on the steering wheel: paddles for acceleration and braking, and buttons for park and reverse. 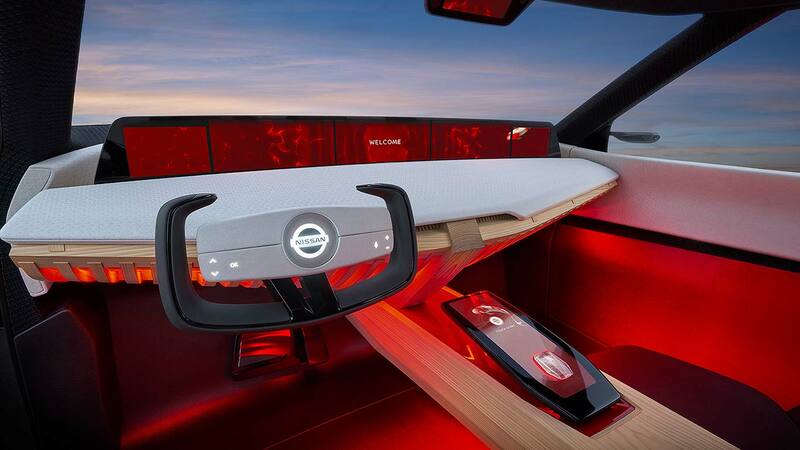 The exterior of Nissan’s latest concept vehicle is striking enough, but the interior could very well be a work of future art. The six-passenger, three-row SUV is called Xmotion (pronounced “cross motion”), and Nissan says that it was inspired by the way that traditional and modern Japan live together as one. 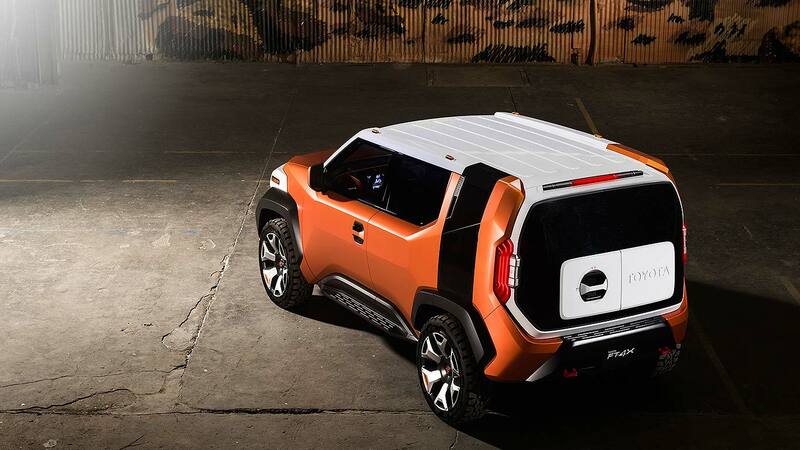 It may sound like a heady concept, but Nissan has fully expressed it. The cabin is meant to evoke a river and is awash in scarlet, the colour of energy; white, the colour of purity; and black, the colour of contrast. A hand-crafted centre console runs the length of the cockpit, constructed of wood using methods usually reserved for building temples. The under-dash is wood as well, slatted to let ambient light waft through. In the console, a touchscreen display contains the vehicle controls. Occasionally, koi will swim across the screen. The dash-mounted display runs almost the full width of the cabin and displays relevant data and nav information. Delightfully, the koi swim there, too. Across the board, the new direction of Japanese SUV design is exhilarating. 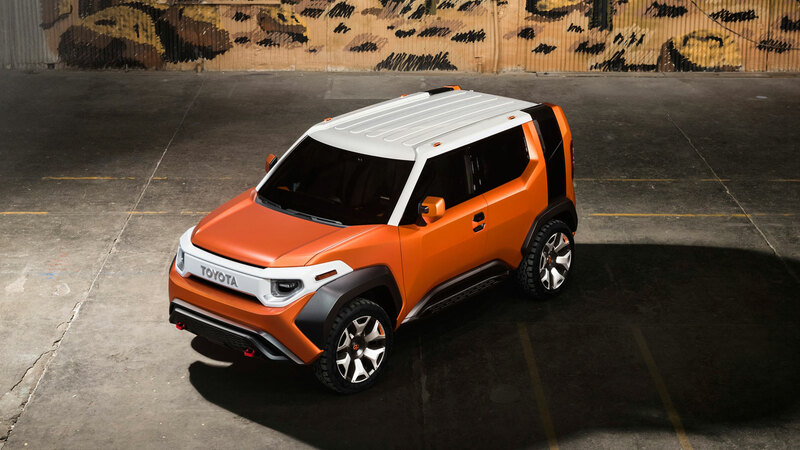 Toyota is finding its voice and personality with its small SUV concepts, the FT-AC that debuted in L.A. and the new FT-4X, of “Future Toyota, four-wheel drive crossover,” shown here. In the cabin, door handles double as water bottles, armrests proffer USB connectivity, and there’s even a compact sleeping bag that hides between the front passenger seats. 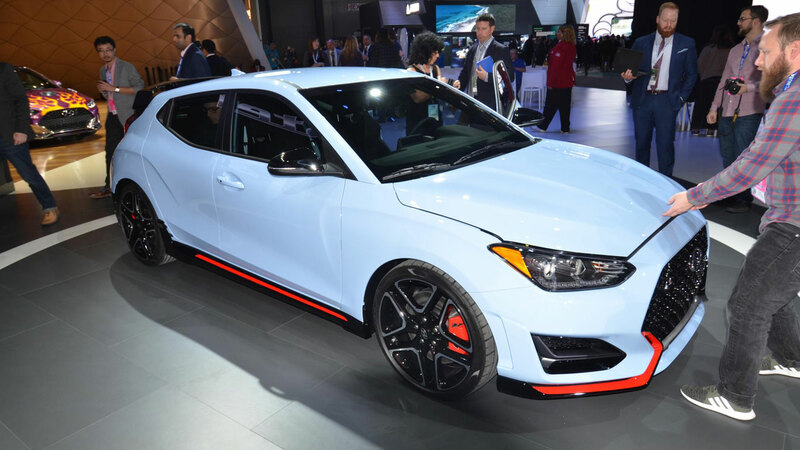 Hyundai’s delightfully weird Veloster is all-new for 2019, and it with it comes an evil twin: the Veloster N. This is, if you like, the i30 N for America. We are fans of the build quality, fun personality, and value for money that Hyundai packs into its vehicles, and we genuinely liked the previous Veloster as a car. Not necessarily as a sports car, but still. Now, with the N, we may just get to see what Hyundai can really do in the performance world. Under the bonnet is a much hotter version of the 2.0-litre found in lesser Velosters, packing 275 horsepower and 260 lb-ft of torque. The suspension has been reworked and features fancy electronic bits. The whole kit and kaboodle was honed to perfection at the Nurburgring. Sadly, there are no plans to sell the Veloster in the UK. 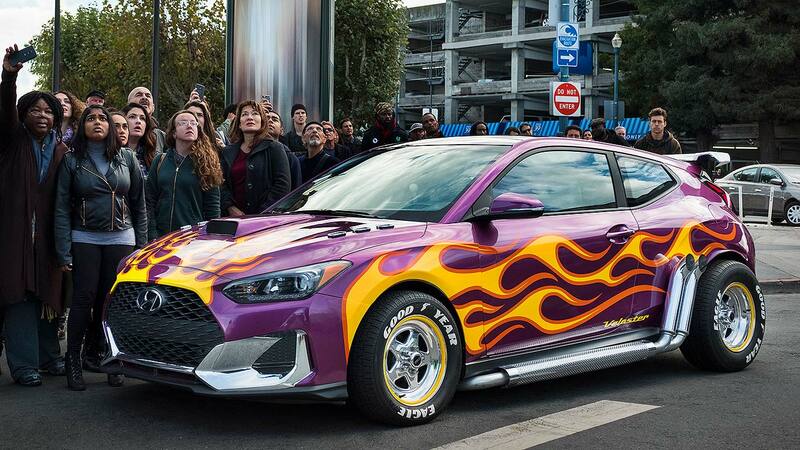 This spectacular bit of purple wonderful is the latest Hyundai Veloster all dolled up for its starring role in the upcoming Marvel feature, Ant Man and the Wasp. While unfamiliar with the comic book it’s based on, we’ll go just to see more of this wild Hyundai. While the flames, side pipes, and wide stance may all just be for show, the Korean manufacturer is hoping the chase scenes in the film will highlight the all-new vehicle’s speed and handling, as well as bring it into view of a new segment of car buyers. We have a sneaking suspicion that Hyundai would make even more noise by offering the Ant Man styling package on new Velosters. We would certainly buy one. Other Hyundai vehicles will be making their Hollywood debut in Marvel Studios’ Ant-Man and the Wasp, which will be released in US theatres on July 6, before landing in the UK on August 3. 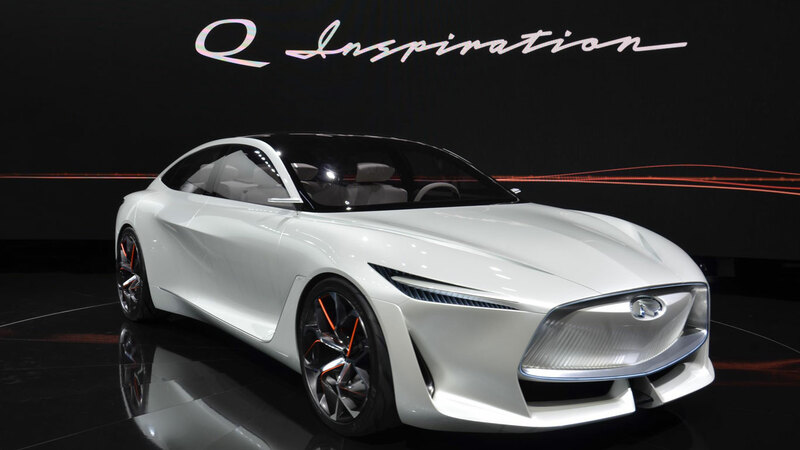 The new Infiniti Q inspiration concept vehicle is gorgeous to look at both inside and out. Relatively minimalist, the vehicle is meant to announce the manufacturer’s new design language for advanced powertrains. 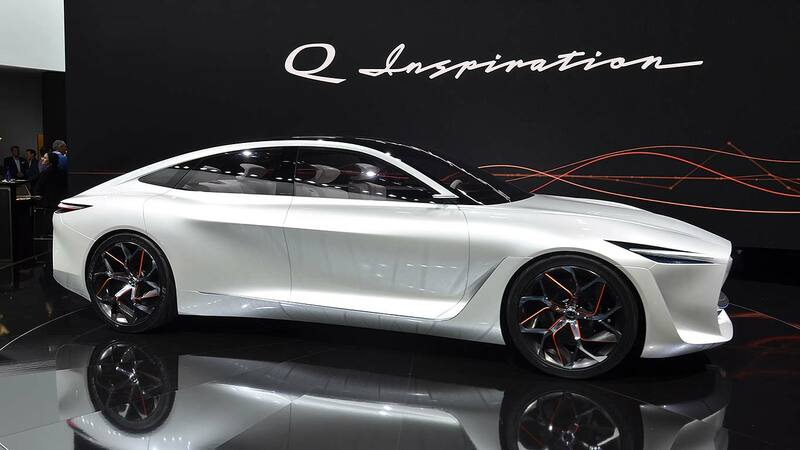 Infiniti’s version of the future involves a clean, clutter-free interior that allows the driver to focus on the task of driving, but also showcases advanced, nearly-autonomous technologies that delegate the more mundane piloting tasks to the car. Under the bonnet is Infiniti’s production-ready variable-compression-ratio four-cylinder engine, tightly packaged to liberate designers “from the constraints of powertrain architecture to realise a spacious interior.” The new engine technology is said to combine the power of a turbo with the efficiency of a diesel. The Jurassic nature of the original G-Wagen was proudly on display as Mercedes-Benz celebrated the release of the all-new 2019 G-Class. 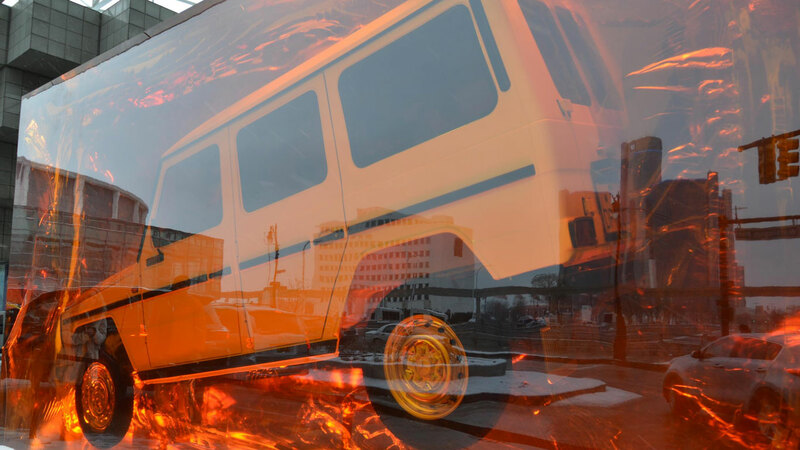 The display is made of 44 tons of resin cast around an honest-to-goodness 1979 Geländewagen inside, the first year of the civilian model. The block was cast over a 90-day period and gained about three centimetres a day in height. The final dimensions: 10 feet high, 18 feet long and 8 feet deep. 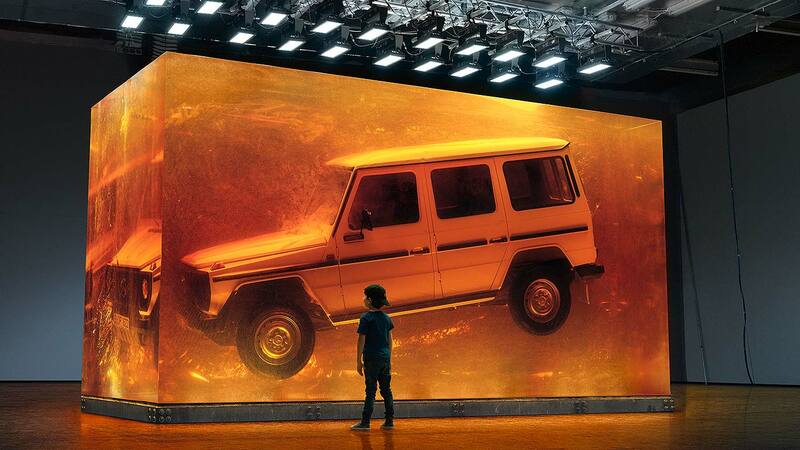 After Detroit, the cuboid will be displayed in other markets in step with the new G-Class launch. After that, we hope it finds a permanent home in our offices. Does this truck look like a hippy to you? 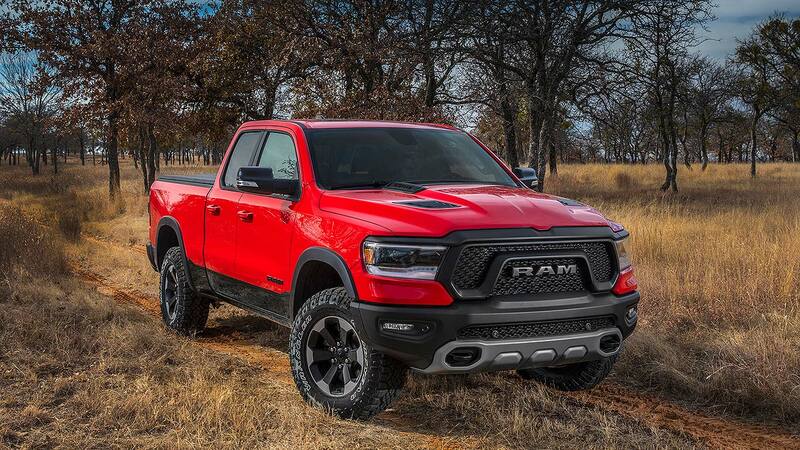 The latest Ram 1500 is a technological marvel, reaping the rewards of advances in engineering and materials science. The new models are lighter, stronger, and more capable than ever. They’re shockingly aerodynamic, slipperier than a Ferrari F50 thanks to active airflow management and exhaustive wind tunnel testing. Perhaps most the most amazing thing, though, about the rugged big trucks is that they are hybrids. Yes, that’s right, like a Toyota Prius. Well, they’re mild hybrids, technically, and the system is called eTorque. The standard V6 engine benefits from a motor generator in place of the traditional alternator and stores energy in a suitcase-sized, 300-watt-hour battery pack. The system provides extra torque during acceleration, up to 90 lb-ft at low engine speeds. The extra power provides invisible operation of the automatic stop/start system. The batteries also charge during regenerative braking, even further advancing efficiency. In Hemi V8 form, eTorque is optional but adds a gargantuan 130 lb-ft of twist. 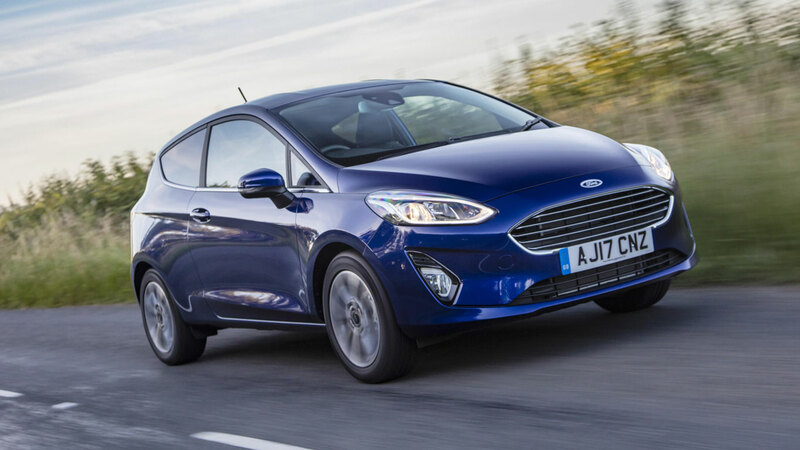 The system works in tandem with cylinder deactivation to conserve even more fuel. The best part of the system is, though, is what it represents: hybrid drives being used for the best of all possible purposes: more power in big trucks. And that makes hybrids cool enough to finally lose the last of their hippie reputation. As the story goes, the 1968 Mustang GT390 with a VIN number ending in 559 starred in the movie Bullitt. It was one of two immortal muscle car icons to take place in the greatest car chase ever filmed. Steve McQueen, the King of Cool, drove the car himself during shooting. After movie life, 559 changed hands a few times before finally falling off the radar in the late 1970s. As the 50th anniversary of the movie Bullitt drew near, interest in the car waxed and it finally surfaced, perfectly unrestored and unmolested, with every scrape and bruise intact. 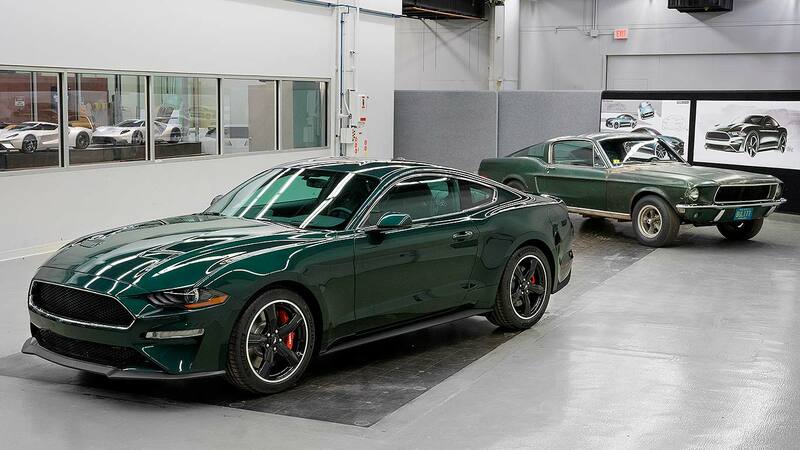 As part of the release hype surrounding the 2019 Mustang Bullitt, itself one of the hottest and most desirable cars we hope to drive this year, Ford displayed both vehicles together. If you are not tearing up at the thought of this, you are simply not a car person. Don’t miss the chance to see this truly one-of-a-kind piece of American history. 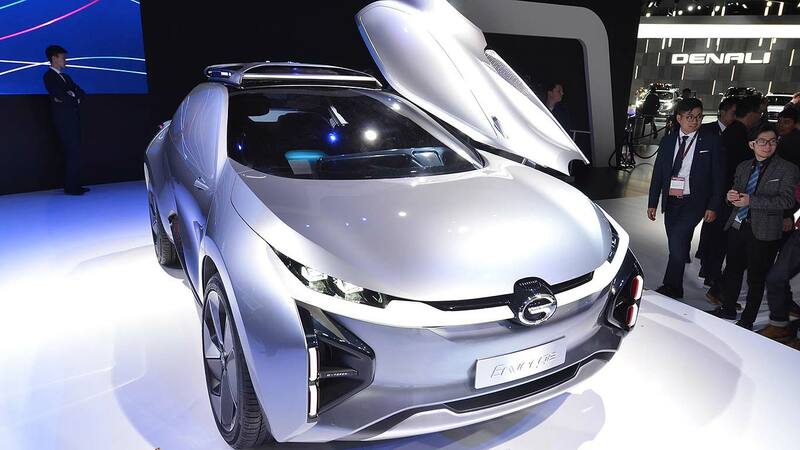 The biggest surprise of the show was the Enverge concept vehicle from Chinese manufacturer GAC. The electric vehicle is loaded with what software developers call “vapourware”, such as a battery pack capable of propelling the vehicle 370 miles between charges, and wireless charging that restores 60 percent of the car’s range in just 10 minutes. For comparison, a Tesla Model S, the most advanced electric car on sale today, has a range of 265 miles and takes 20 minutes to recharge to 50 percent. Nonetheless, the Enverge is wildly futuristic and endlessly entertaining. There are interesting details all over the vehicle, such as headlights that pop out to become floodlights and side windows that are actually virtual reality screens. The most important detail of the Enverge, however, is what it represents. While vehicles built in China have been quietly on sale in the States for awhile now, GAC will be the first manufacturer to sell Chinese-branded cars in the US. The manufacturer is working towards an agreement with Fiat-Chrysler to begin selling its vehicles through their dealer network. Sales are expected in 2019.